On Tuesday morning the body of a man was found in the bushes surrounding an abandoned house in the Barranco de La Rocha near Telde in Gran Canaria. The body was in a very decayed condition. 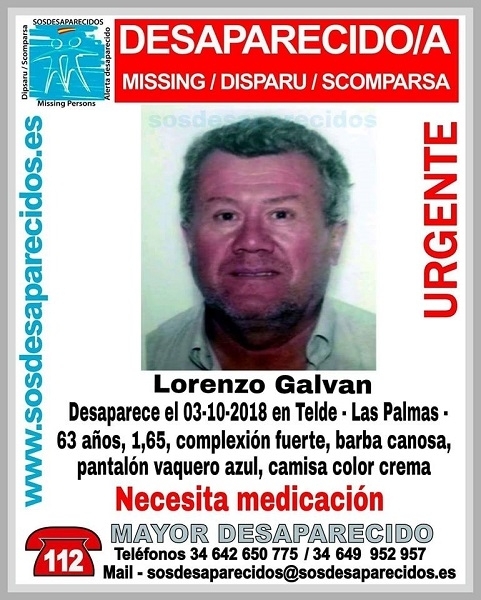 The deceased was Lorenzo Galván, called Tito, from Telde. The 63-year-old has been missing since the third of October. He has been sought ever since. The National Police took over the investigation. Mayor Carmen Hernández expressed her condolences to the family and friends of the deceased. Produced with news.CMS in 0,0736 seconds.